men and women in uniform” and “America,” two things President Obama hates. No, wait, that’s not right at all. Neither Obama nor Biden has ever, so far as I can recall, publicly criticized our armed forces or America (specifically, the United States). So, why does she spend so much time praising things that are almost universally accorded praise? Why talk about “Restoring Honor” when no one seems to want to destroy honor? Is it just meaningless blather designed to please the good-old-days crowd? I sat down to watch Palin’s speech at Glenn Beck’s “Restoring Honor” rally with these questions in mind. My conclusion: Palin’s rhetoric is rich with meaning, carefully chosen meaning, but you have to listen closely. It is so humbling to get to be here with you today, patriots. You who are motivated and engaged and concerned knowing to never retreat. I must assume… (applause)…I must assume that you too knowing that, no, we must not fundamentally transform America as some would want, we must restore America and restore her honor! If you’re wondering what “restore,” is supposed to mean, read the above passage carefully. In it, Palin defines “restoration” by explaining what the word is not supposed to mean. Specifically, restoration is an alternative to a “fundamental transformation” of America by persons unknown. Choosing “restoration” over “transformation” makes a great deal of sense for Palin, and not just because the word “transformation” sounds sort of scary. “Restore” is also a good counterargument to “change.” “Change” should sound familiar; Barack Obama used the word to great effect in his 2008 presidential campaign. But you can’t come out and say that you’re against change in the middle of a recession. So, rather than position herself as anti-change, Palin has split “change” into good change (restoration) and bad change (transformation). Of course, restoration is still change; it’s just change in the other direction. It’s moving backward but in the best possible way. We restore things like balance and hardwood floors—the word is hardly ever used in the negative. “Transform” has a similar meaning, but a much more ambiguous meaning. Furthermore, it is difficult to argue with the idea that Obama has tried to “transform” America. I have a hard time imagining the president arguing with the idea that his administration has sought a transformation of one kind or another. But “restoration” as a force opposed to “transformation” is also where Palin’s speech runs into trouble. Palin is speaking in front of a monument to Abraham Lincoln and her speech makes repeated references to both the Civil War and Martin Luther King Jr.. Lincoln and King are both beloved figures, but they did far more transforming than restoring. It’s true that Lincoln restored the Union by winning the Civil War, but that act fundamentally transformed the country—it made us Americans rather than Virginians or Ohioans, for starters. When you associate the idea of “restoration” with King and civil rights, it makes even less sense. The Civil Rights Era was a time of upheaval, a period that culminated in interventions by the federal government aimed at creating social change. None of these things jibes with Palin’s overall message of small government, however much she might endorse the civil rights movement of the 1960s. It’s possible that the Lincoln and MLK Jr. references are mere byproducts of time and place. The rally was set on the same date and held at the same location that MLK Jr. delivered his “I Have a Dream” speech in 1963, a fact Beck claimed not to have been aware of when he planned the rally. But whatever her reason for including Lincoln and MLK Jr., they are an important part of the speech, and therefore deserve scrutiny. When we dismiss Palin’s rhetoric as “fluff” or “meaningless,” we give up the chance to interrogate its many meanings. And there is meaning in Palin’s speech, even if that meaning is sometimes deeply contradictory. 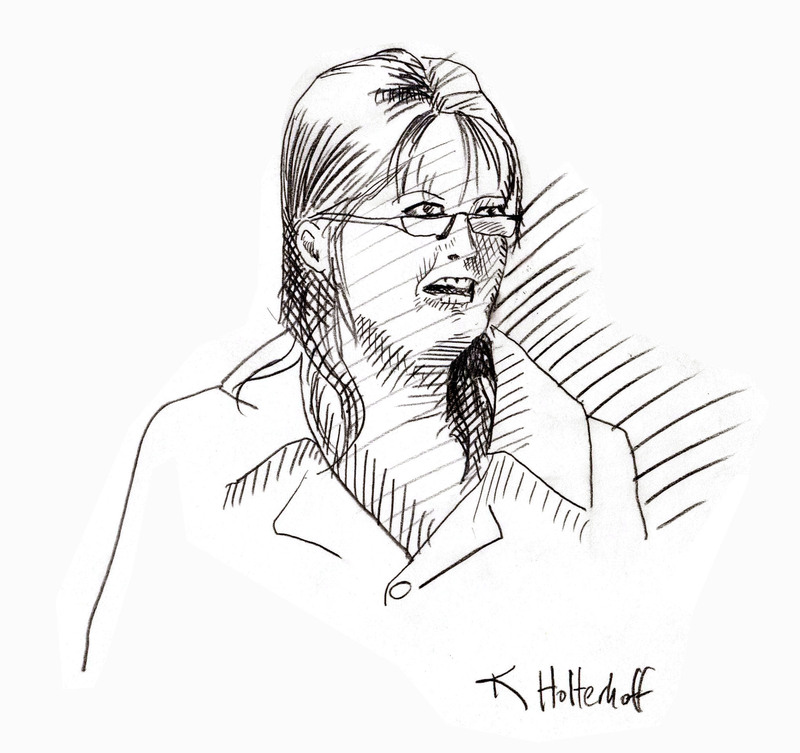 My short transcription is taken from a YouTube clip depicting a segment of Palin’s speech. You can find another transcript on Palin’s Facebook page–it’s more of a script, though, as it doesn’t reflect her actual speech. Given that Palin splits “change” into two apparently incompatible concepts, dissociation of concepts (see Perelman & Olbrechts-Tyteca’s The New Rhetoric) might be one way to think about Palin’s treatment of “restoration” and “transformation.” Additional evidence and analysis would be required to make this claim, however.